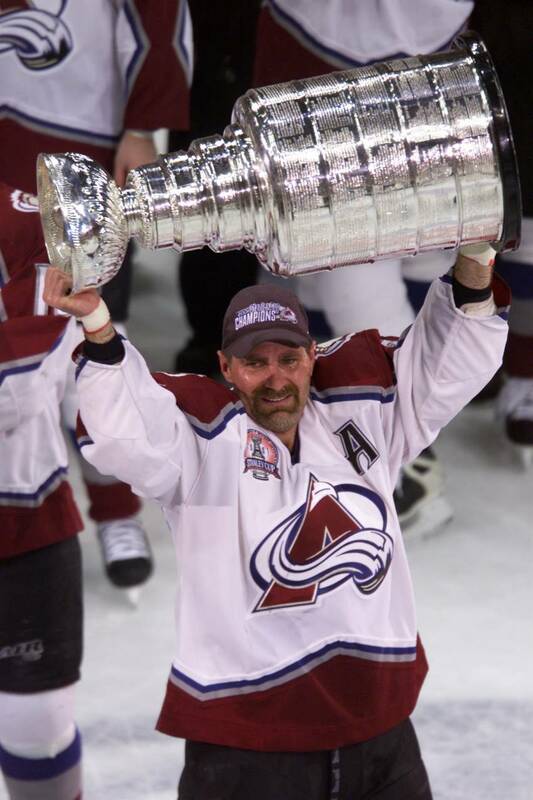 Originally aired March 27, 2000, we revisit a time when Ray Bourque – one of the best defencemen to ever lace them up in the NHL – was brand new to the Colorado Avalanche and had yet to hoist the Stanley Cup. NHL First Team All-Star; 1980, 1982, 1984, 1985, 1987, 1988, 1990, 1991, 1992, 1993, 1994, 1996, and 2001. Second Team All-Star; 1981, 1983, 1986, 1989, 1995 and 1999. The year was 2000, the host was Brett Lindros, and the player was Ray Bourque – and what a time it was to be a Colorado Avalanche fan! Originally aired March 27, 2000, this episode will give you goosebumps as we look back at one of the best defencemen to ever lace them up in the NHL – the year before he played in the final game of his career, a Game 7 that resulted in hoisting the 2001 Stanley Cup. Bourque was traded from the Boston Bruins to the Colorado Avalanche March 6, 2000, alongside Dave Andreychuk. Bourque had spent 20 seasons with the Bruins after being drafted by the club in 1979 in the first round of the NHL Entry Draft (8th overall). Bourque outlines his request for a trade in the interview with Lindros. The Montreal, Quebec-born blueliner's career was kick-started as an 18-year-old with the Bruins in the 1979-80 season. Bourque posted 65 points to win the Calder Trophy, and was named to the first of an eventual 19 NHL All-Star Game appearances. June 9, 2001, Colorado won the Stanley Cup Final with a 3-1 victory over the New Jersey Devils on home ice. Joe Sakic handed Lord Stanley’s trophy over to a then 40-year-old Bourque, in lieu of the traditional victory lap taken by the winning team's captain. The gesture produced one of the most iconic images in Avalanche history – the apex of Bourque’s 22-year career brought him to on-ice tears. As evidenced in his career profile above, Bourque solidifed his name as one the game's greatest even before putting a bow on his career with a Stanley Cup. He had already accrued five James Norris Memorial trophies, and to this day leads all-time scoring by an NHL defenceman in goals (410), assists (1,169), and points (1,579). This episode also features Alex Tanguay as part of 'The Next Generation' segment. Tanguay, who at this time is looking to avoid a sophomore slump. The native of Ste-Justine, Quebec, would have no such slump. He posted 27 goals and 5- assists as part of 77 points before going on to score the Stanley Cup-clinching goal for the Avalanche to close out 2001. Tanguay finished his career with the Arizona Coyotes after the 2015-16 season, and joined the NHL Network as an on-air analyst in 2017.